Home/Uncategorized/TouchIT App Store 2.0 Released – What’s New? The back end servers is really where all the magic happens. We have some pretty cool algorithms that allow us to add user requested apps a lot faster to the store. The way in which we parse and process the requests means that for you, the end user, the apps download SO MUCH QUICKER to your LED which is what you want. We control the download environment a lot more on version 2.0 to ensure that the process is somewhat seamless. 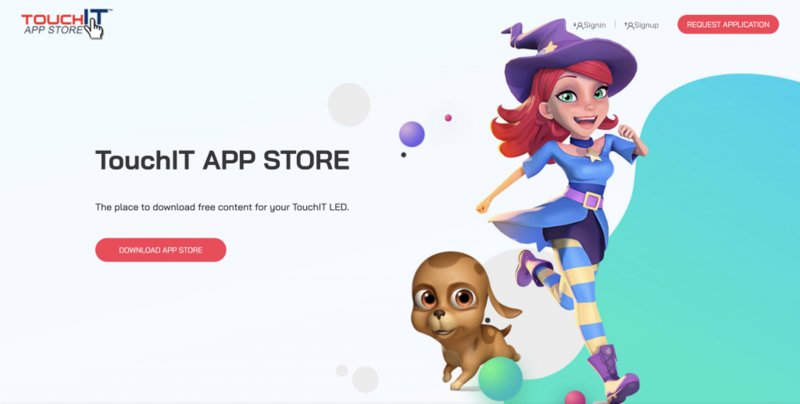 We always say the TouchIT App Store is by no means a definitive list of Apps that can be used on the TouchIT LED – quite the contrary. We actually want to continue to evolve and add applications so that we can keep expanding the store. What we have added to the 2.0 Version of the App is the ability for the user to request an Application directly from the LED or the Webstore itself. This means that the tech support team should get the requests quicker and we expect to be receiving a lot more of these requests which will help us to continue to expand the store. We have been asked many times over the last few years whether it is possible to customize the store. “Can we get our own version” regularly pops up as a question during School and District Presentations. Well, we’re pleased to announce that we are now able to do this. We can create an “Admin” account for the School or District and then they are able to add the teachers to that account. Only the applications that the IT Admin chooses will be available to the teachers – this gives them the ability to customize their App Store for the first time. This is particularly useful in States such as Connecticut where mandatory software registration with the State is in place for anything that is used in the classroom. The upgrade process is pretty straight forward for our users. They will all get a few email invitations to upgrade the App over the next couple of weeks. We will also replace the active Apps in version 1.0 of the App Store with the new V2 version so they users can use the old store to download the new store. All Accounts have been moved over to the new V2 App Store. At the end of the month (February) we will discontinue version 1.0 of the App Store.